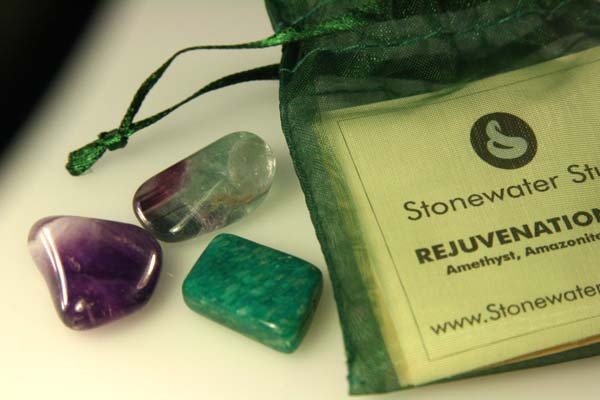 The Rejuvenation Pack combines Amethyst, Amazonite and Fluorite to encourage cell regeneration and anti-aging. 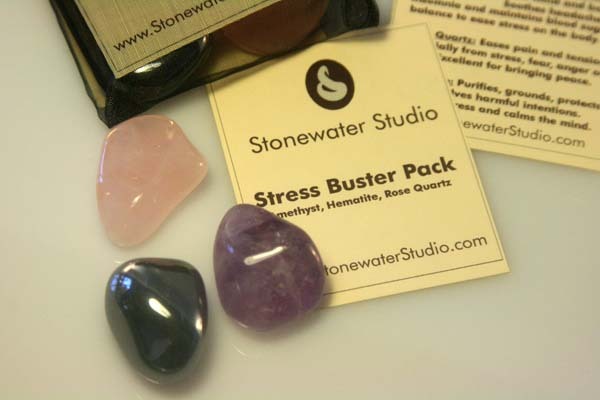 The gemstones absorb negative vibrations while encourage the absorption of vital nutrients, aiding in detoxification, balancing the metabolism and nervous system. 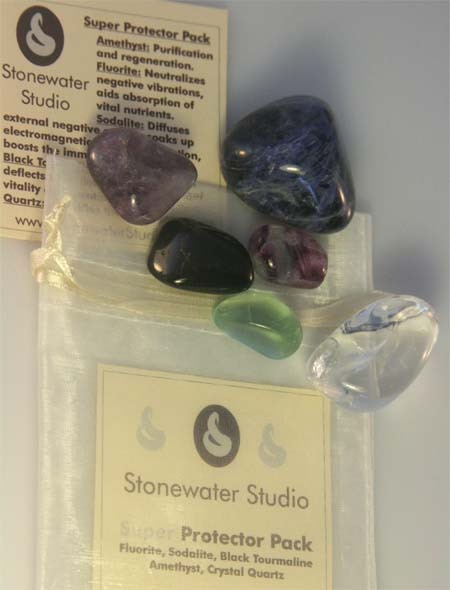 All the gemstones are cleansed (of any foreign energies) and charged in full sunlight. 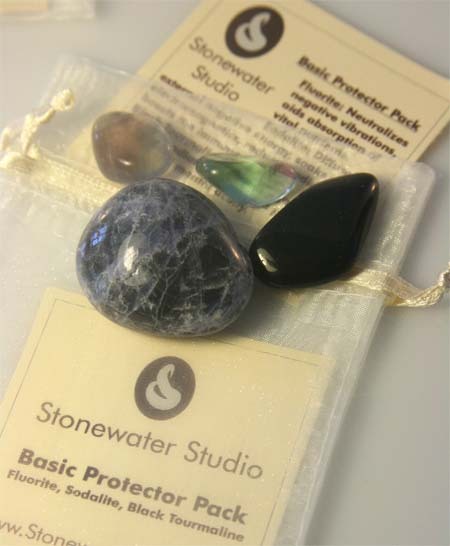 Gemstones are packaged in a handy pouch which comes with a descriptive card providing information about each of the gemstones.